This is a diamond shaped Airlec Sound Horn porcelain sign. 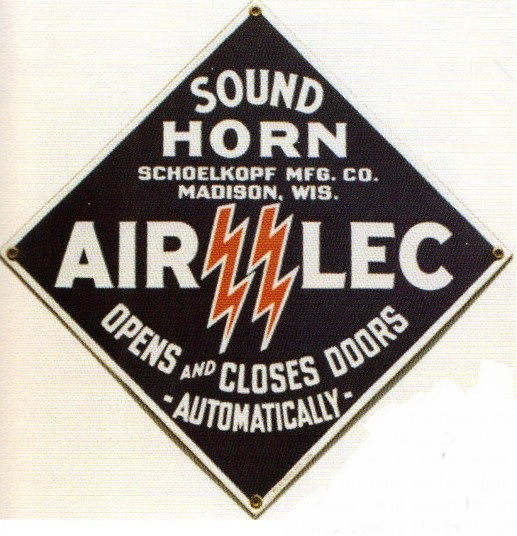 This particular Airlec Sound Horn sign is predominantly navy with white text. It reads, “Sound Horn, Schoelkopf Mfg. Co., Madison, Wis., Airlec, Opens and Closes Doors Automatically” and features two orange lightning bolts in the center.